Black map poster template of Lexington, Kentucky, United States. 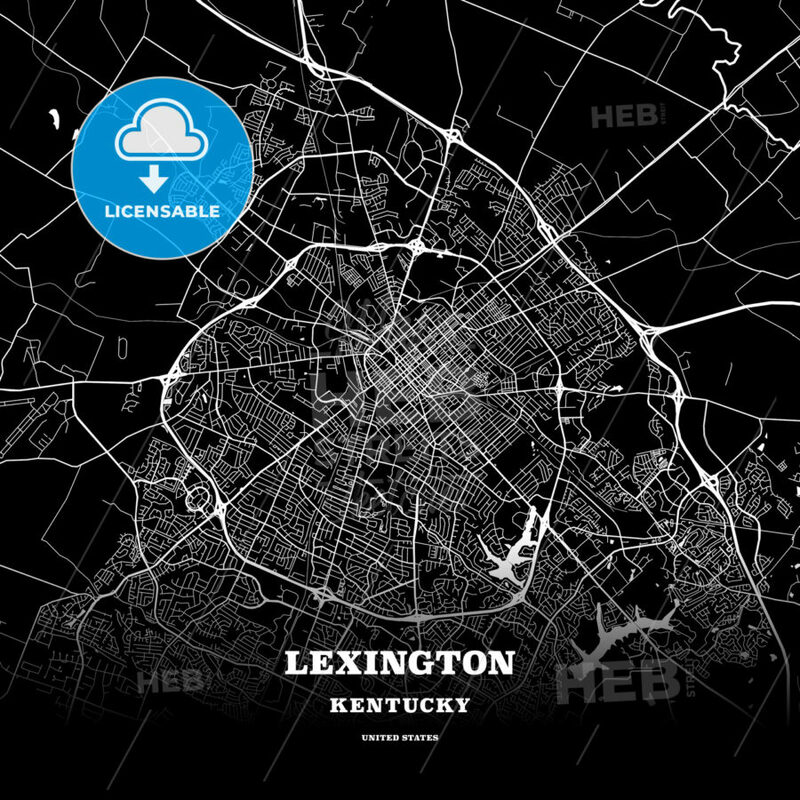 This black map template of Lexington is designed for posters in portrait and square formats. We recommend the PDF−Vector format for larger prints. The entire text has not been converted to outlines and can be changed as needed. The font is not embedded in the file.